​The list below is those performances known to the composer. If you are performing one of Barker's compositions, she would love to hear from you so that she can add you to this list. Thank you. 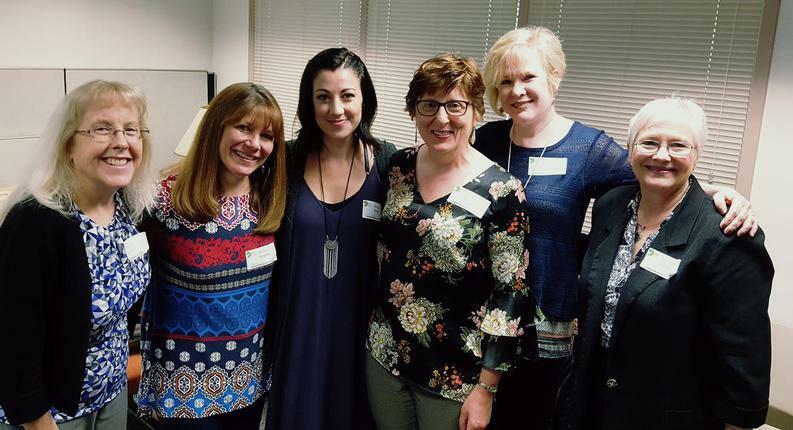 Eileen Grycky, Kim Reighley, Paula Nelson and Melinda Bowman, pictured here with the ricipient of the collaborative commission, Dr. Lynne Cooksey, and Erica Peel, piccolo player with The Philadelphia Orchestra. 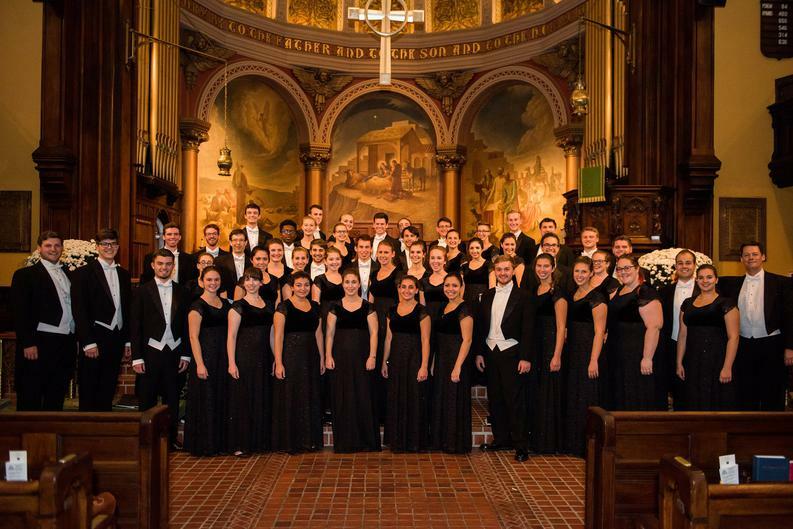 The composition was commissioned by faculty for Dr. Cooksey's retiral from The Music School of Delaware. The premiere took place on June16th 2018. 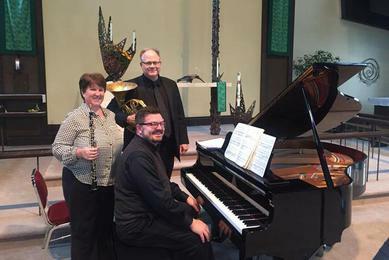 Luna Nova Ensemble (Michelle Vigneau, oboe; Robert Patterson, horn; and Perry Mears, piano) performed Barker's umurangi-kikorangi at St. Peter's Episcopal Church in Bettendorf, Iowa, on Sunday 14th October 2018, 2pm. 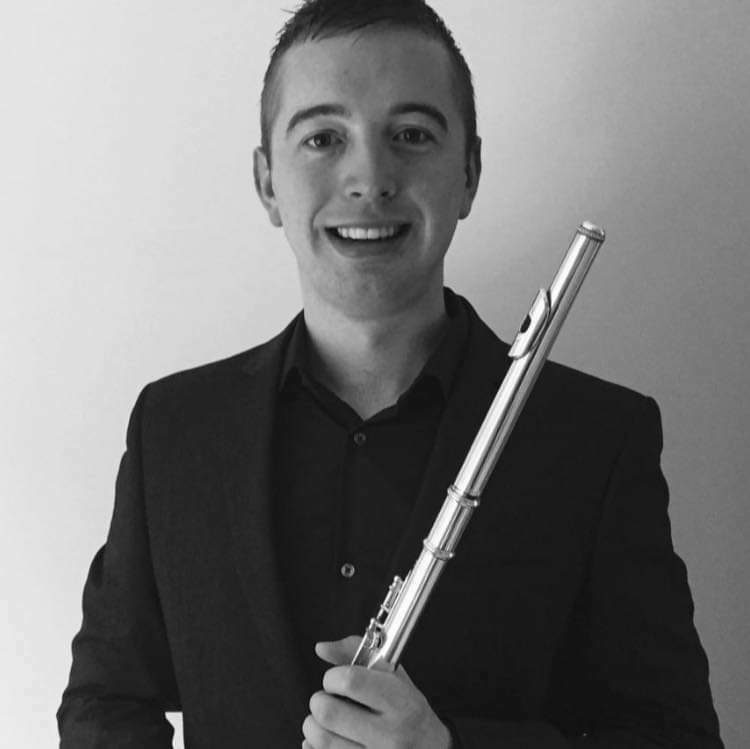 Irish flautist, Robert Catney, will perform Barker's work for flute and piano, Na Tri Peathraichean, in Wales during the 2019 concert season. 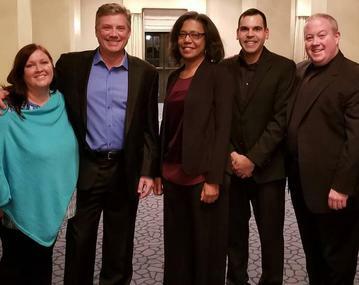 As the 2018 Pi Kappa Lambda winning composer, Barker received the premiere of her new chamber work, Harmonious Dreams, on Saturday 17th November 2018 at the combined Pi Kappa Lambda Centennial Convention/National Association of Schools of Music Conference in Washington, DC. Scored for baritone, Bb clarinet, violoncello and piano, the work is a four-song cycle. 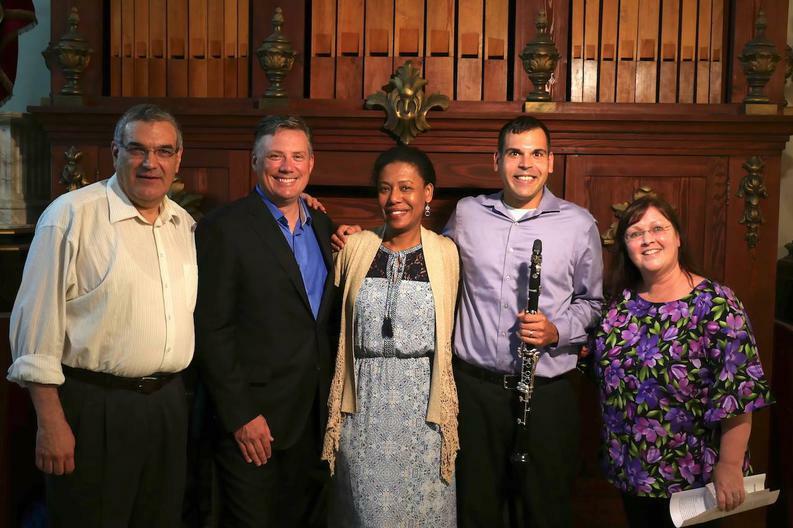 The premiere was presented by baritone Tod Fitzpatrick, clarinetist Christopher Nichols, cellist Stephen Czarkowski and pianist Marie-Christine Delbeau. 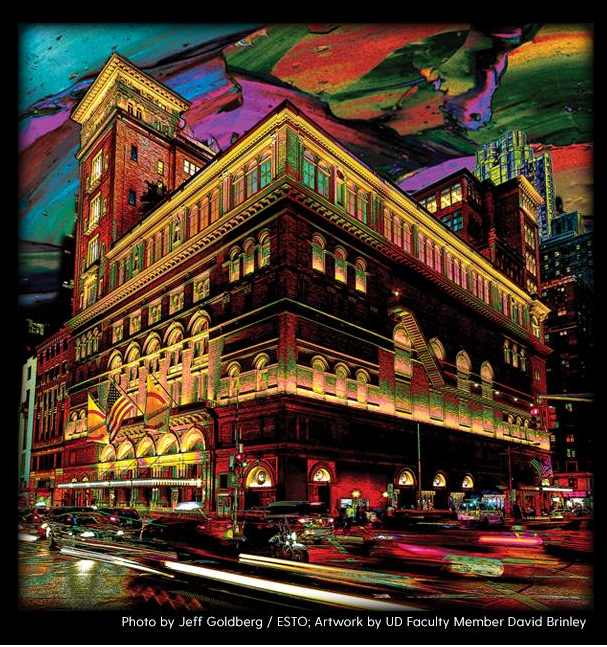 Barker's new work, titled Ealasaid, for violin, erhu and SATB choir was premiered by 6-Wire and the University of Delaware Chorale to a 'sold-out' audience at Carnegie Hall's Zankel Hall in New York, under the direction of Dr. Paul D. Head, on February 16th 2019. The work sets Helen B. Cruickshank's poem of the same name. 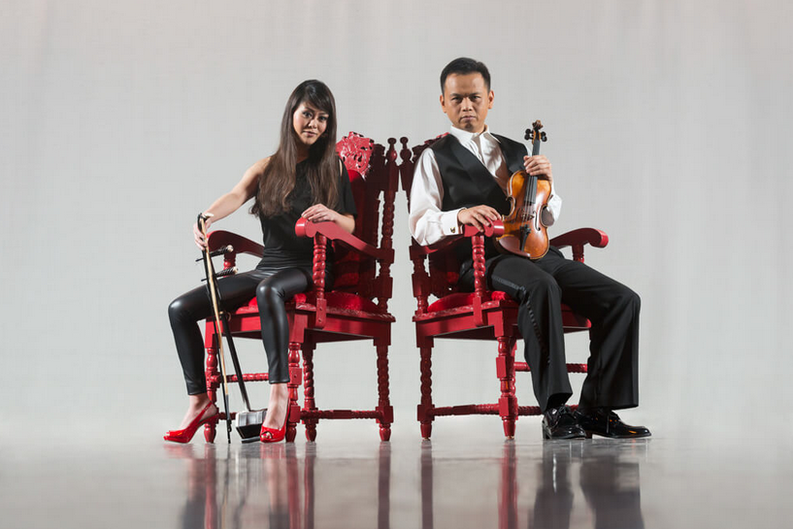 The work was subsequently recorded for CD and video release. 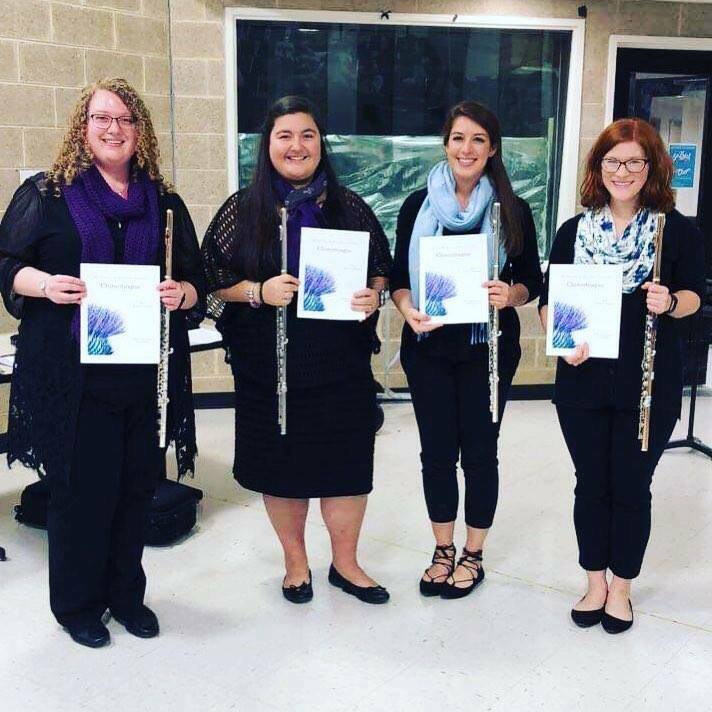 Further performances of Barker's new flute quartet, Chincoteague, were presented, this time, by the University of Delaware Graduate Flute Quartet in December 2018. 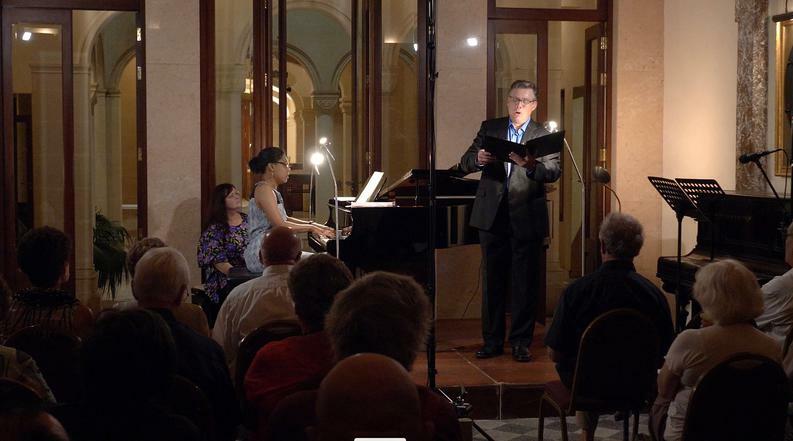 In July, Barker and composer-performer ensemble, Transcontinental, presented a concert of compositions by Barker, Ofer Ben-Amots and Joseph Vella, at the 2018 Victoria International Arts Festival, in Gozo, Malta. A review of the concert can be viewed here. 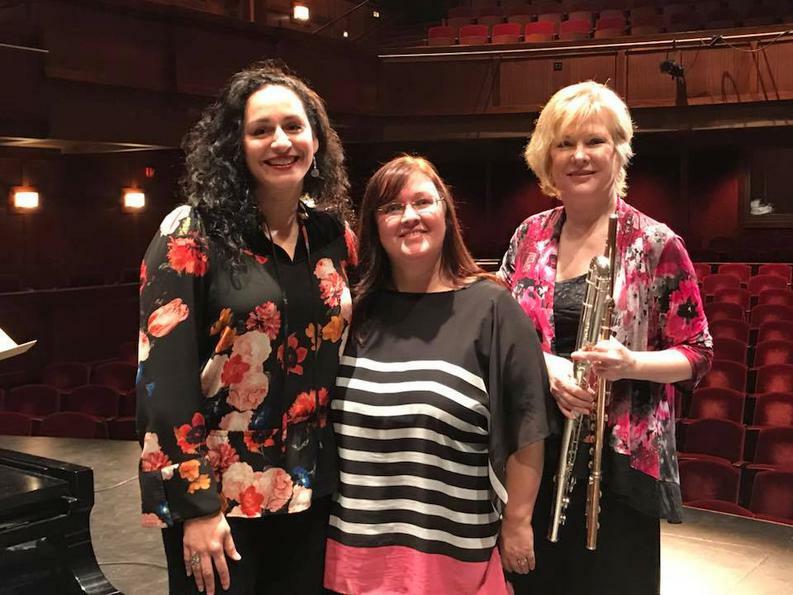 In March 2018 Barker performed her song-cycle, A Lassie's Love, alongside soprano Noel Archambeault and flutist, Eileen Grycky, at the Region III Society of Composers, Inc. conference, hosted by Christopher Newport University, in Newport News, VA.